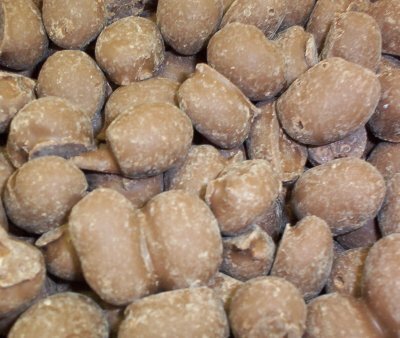 Large roasted cashews covered in milk chocolate. 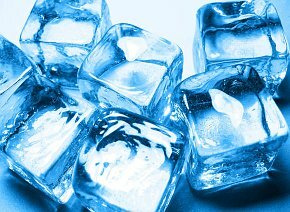 Comes in a 1 Lb. Bag. 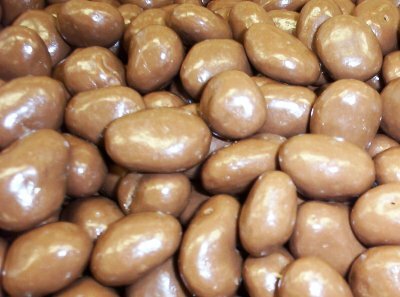 Large raisins covered in milk chocolate. Comes in a 16 oz. bag. Roasted peanuts double-dipped in milk chocolate. Comes in a 16 oz. (1 pound) bag. 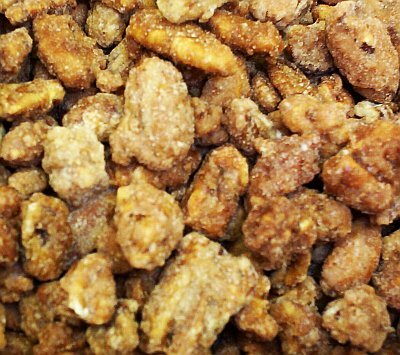 Crunchy pecans in a praline sugar coating. Comes in a 7 oz. bag.